Parliamentary Elections Delayed? 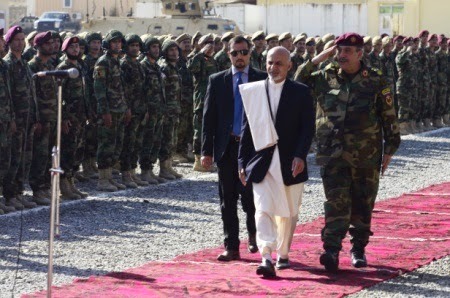 The ability of the Afghan government to conduct a national election that is secure, on schedule, and corruption free appears to be far in the future. Despite having conducted a number of country-wide elections the Afghans still are suffering growing pains. Apparently, the parliamentary elections scheduled for mid-2018 will be delayed at least three months. If not held in the fall then the election date will slip to mid-2019. See "Afghanistan parliament elections likely delayed until October", Reuters, February 4, 2018. Elections and Electronic Identity Cards. A very expensive plan to issue new electronic identity cards ahead of the parliamentary elections to be held in Afghanistan in mid-summer 2018 is raising political tension. Leading figures in some ethnic groups are rejecting the term "Afghan" on the ID card. The term 'Afghan' is closely associated with 'Pashtun'; and other ethnic groups (Tajiks, Hazara, Uzbeks, and others) are taking exception to it. The ID cards, known as e-Tazkira, are viewed as important in the electoral process - a step to avoid fraud in the parliamentary elections for 2018 and presidential elections for 2019. Read more in "Who is an Afghan? Row over ID cards fuels ethnic tension", Reuters.com, February 8, 2018. Warlords and Governance. The Afghan government is by all accounts - very dysfunctional. One of the factors causing major problems in Afghan governance is the influence of powerful warlords. A seminar on this topic will be held in Norway in March 2018. (Prio). Gov Noor for President? Atta Mohammad Noor was fired by President Ghani from his job as governor of Balkh province - but he still occupies the office while his appointed replacement works from an office in Kabul. Noor is using the political crisis to position himself for a run for the presidency in the 2019 presidential elections. (Daily Mail, Feb 5, 2018).